Investing is one way that you could make money work for you and reverse the current of setup of you working for the money. It is a phase where you become proactive on where your money goes and how much it earns. Investing direct you to a better financial future giving you more control of your money and letting your money beat inflation. Over the past I’ve shared about the investing myths that keeps you from growing your money. 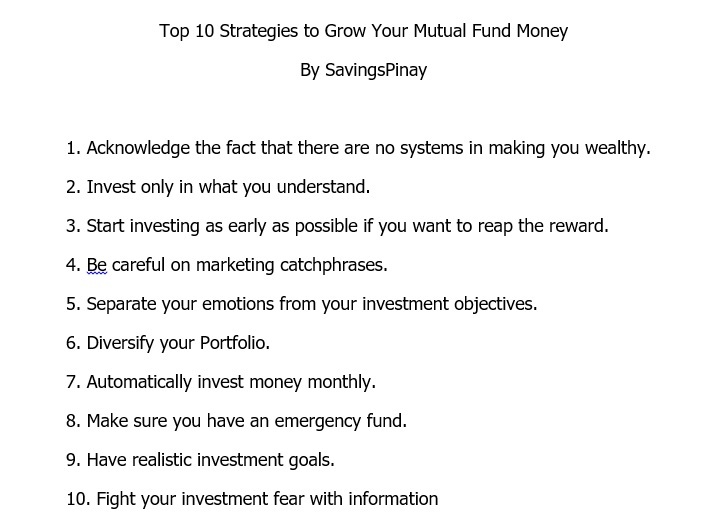 And just to review before I start the Day 4 of SavingsPinay Series Yumaman sa Mutual Fund please do remember the following things about the word INVESTING. 1. Investing doesn’t need a lot of money. There are investment vehicles where you can start investing in as low as 5,000pesos. A mutual fund, for example, only requires you 5,000 opening fee. 2. Investing has inevitable risk but it’s all worth it. Investing take risk because you rely on how the market performs. So start investing the younger you are so you can still take the higher risk that can give you higher returns. 3. You don’t have to be a math genius to start investing. I know it would be fearsome at first but don’t worry. The government supports ordinary people who are into investing. A lot of companies and even groups and individuals offer free seminar on how to start investing in the Philippines. We have financial books and blogs you can read for more information too. 4. Investing is not just about the wealth. Yes, becoming rich may be your ultimate goal but the process involved in successful investing will give you so much more. Throughout your investment journey you will learn to budget, save and invest. READ: Things I Realized Since My First Investment. 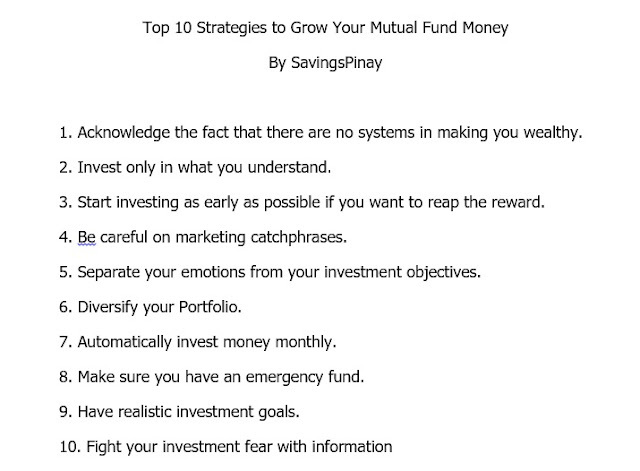 Mutual Funds are generally a safe investment vehicle. It is again considered as a perfect investment for beginners and those who are conservative investors. Now, how you will become rich in a mutual fund investment solely depends on your investment strategy. There are two main factors that besides the amount of money you invest in a mutual fund that can affect your return of investment. What is your investment time horizon? How many years will it take to complete your investment goal? If you are 25 today and you wanted to retire on the age 50 then you have 25 years time horizon for your investments. This answers how muck risk you are willing to take to achieve your investment goal? Now, your role as a mutual fund investor is passive since it is a managed fund. READ: Understanding Managed Funds as an Investment Vehicle in the Philippines. As a passive investor, you turn-over the decision-making to professionals when it comes to your investments. Yes, you can choose which fund to allocate your investment but trusted financial managers will take it from there. Mutual Fund is a perfect investment vehicle too for busy professionals who only have time to monitor their investment performance periodically and does not have interest in the trading stocks. The above companies are part of top dividend paying stocks in the country today. 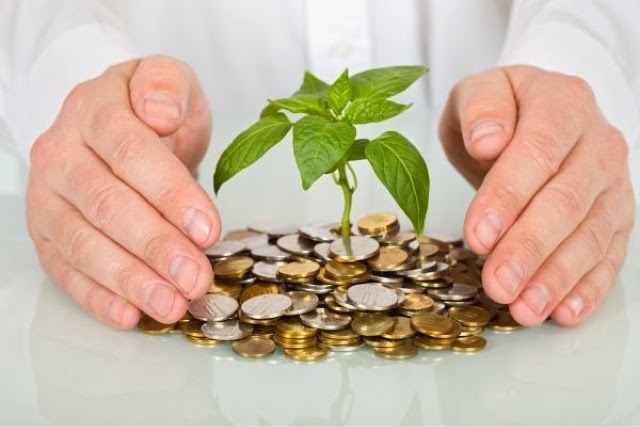 A fund that includes asset with the above companies are considered high-yield stocks funds. They focus in capital gains by having highly aggressive trading style. They are not really the “trader” type but more of an active investor. Since a higher risk and attention is given to your investment, this mutual fund type will surely give you a higher return of investment. Bonds is another mutual fund type that can make you rich. It is the safest type of mutual fund that can give stable annual return of investment and long-term capital preservation. By definition, bonds are contracts in which an investor lends money to a borrower. Now how do you earn money through bond funds? Simple. As a compensation to the investor, the borrower agrees to pay interest rate at a fixed amount mostly twice a year. The borrower will also repay a stated sum of money at the end of loan payment which is known for as maturity date. An example of high-yield bond fund is a Fixed-Income Investment wherein your money is placed on government securities. And since the governments backs your investment, there is no risk involved. If you want the best of both worlds then Balanced Funds is the right investment that will make you rich. It invests in both equity and bonds and match the specific goals and risk tolerance of every investor. It is nothing more than the space between growth and income and offers long-term financial stability. 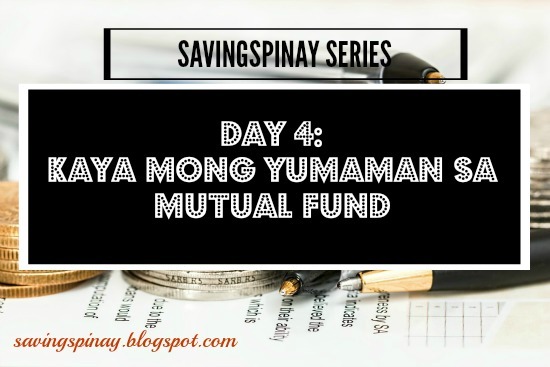 Question: Kaya Mo Bang Yumaman sa Mutual Fund? The answer is YES. And it all depends on YOU. Start NOW. What keeps you from holding back with the idea of investing your money? Be INFORMED. Always be updated with what’s happening on the financial world. Its time that you act like an adult and see where your money goes. SAVE and INVEST. These two things should go hand and hand if your goal is to experience financial freedom. I hope you like this post and you learned something. Please spread this SavingsPinay Series to those you know are curious about what it’s all about!